ever wonder what it's like to work at a photo lab? 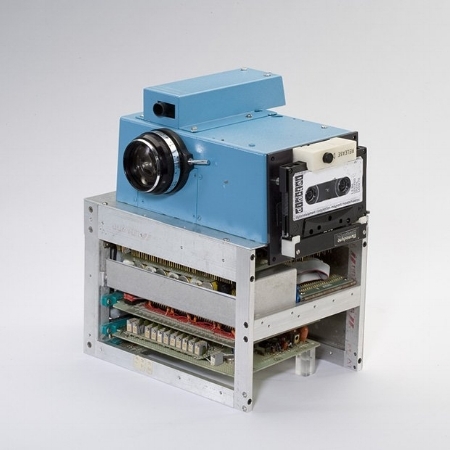 From helping people create art to editing photos, scanning film, chatting about a print and catching a whiff of darkroom chemistry, there's always something new going on. 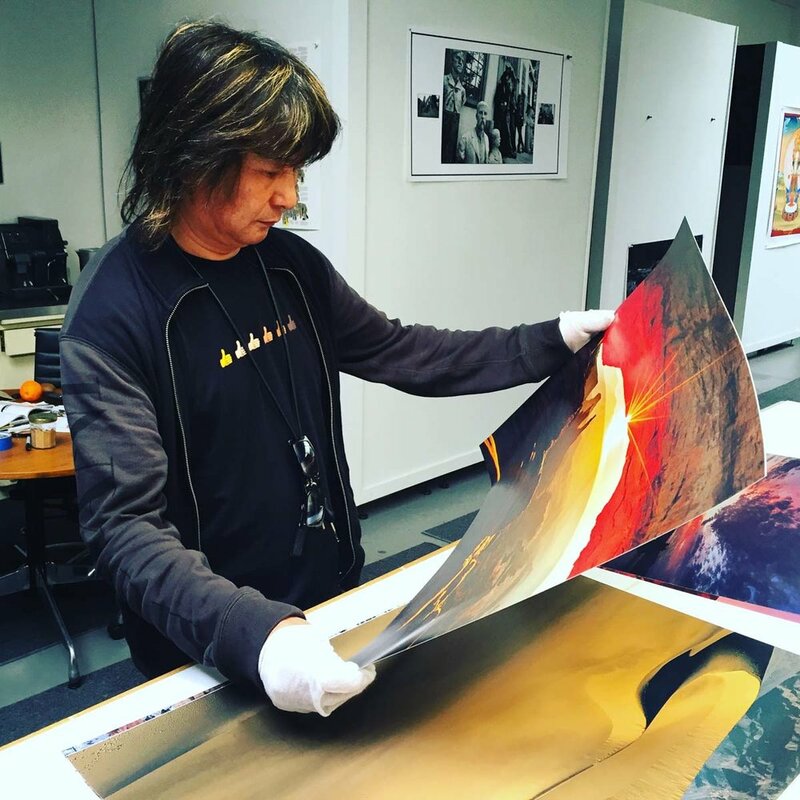 Now, go behind the scenes and explore daily life at Dickerman Prints - a modern photo lab in San Francisco. 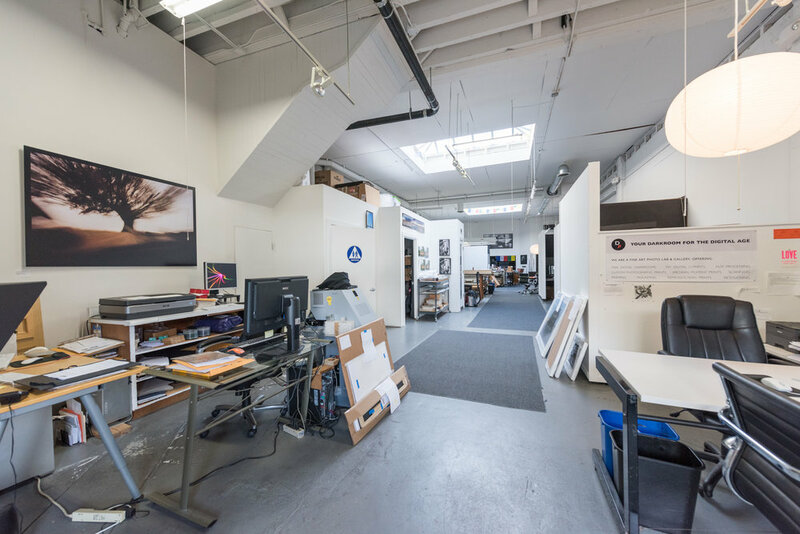 Come visit our beautiful, light-filled lab space in the South of Market (SOMA) district. Here's what our print shop looks like from across the street. We are conveniently located at 1141 Howard Street in San Francisco. We've got plenty of street parking! In addition to being a photo lab, Dickerman Prints is a gallery, coffee shop (complimentary, of course! ), photographic history museum and an inviting place to learn how to create the best prints possible. Start off your visit with a cup of organic espresso or tea in our communal area. Take some time to enjoy the fine art photography displayed on our walls. Chat about the latest trends in photography ... or peruse 70 years of photographic magazines. 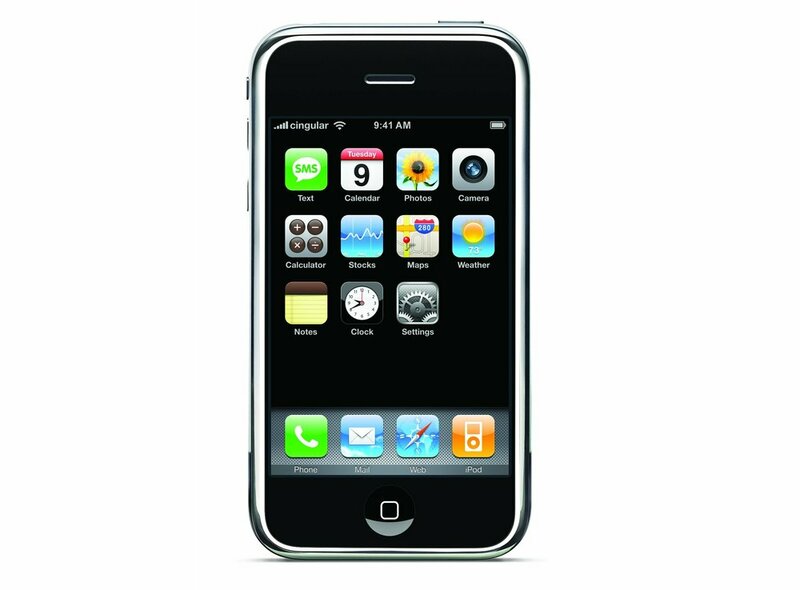 Then, finally, settle down in your own calibrated workstation to edit and print your photographs using our DIY service. 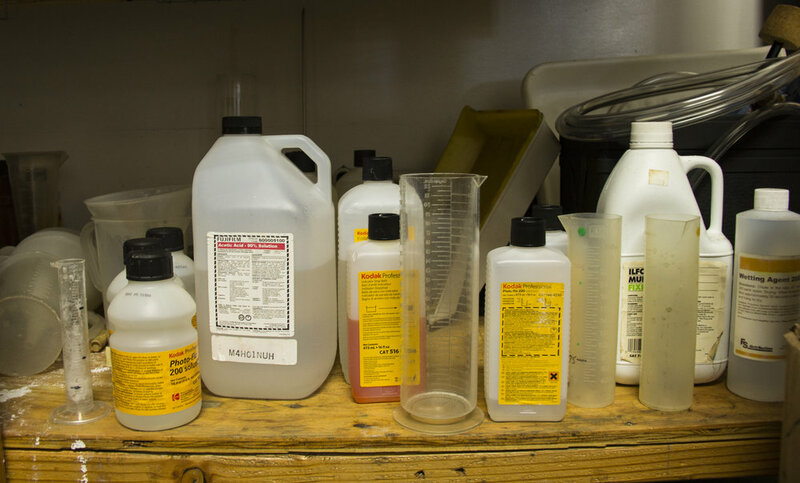 Part of being "your darkroom for the digital age" means that we still provide traditional C-41 film processing in both color and black & white. Each roll of film is individually developed with fresh chemistry, ensuring that your precious film gets the very best ... every time. That trusty ol' clock has been timing down film processing for decades. 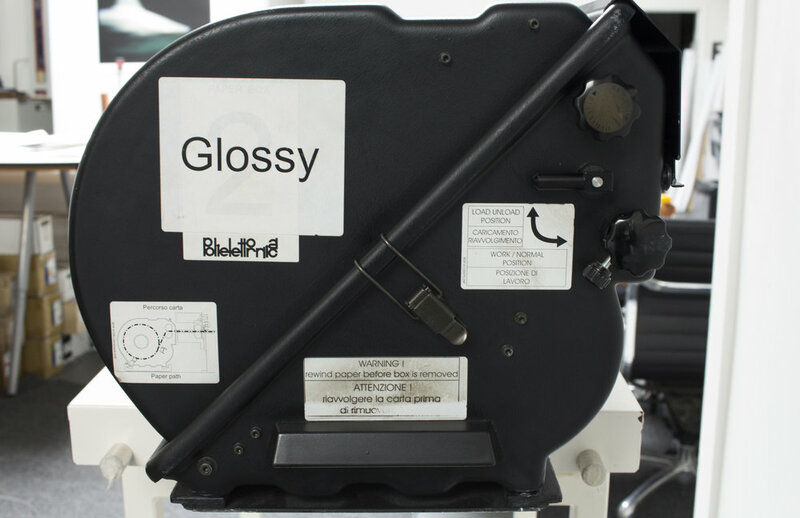 Reel of films are hand-processed in small batches, using only clean and fresh chemistry. 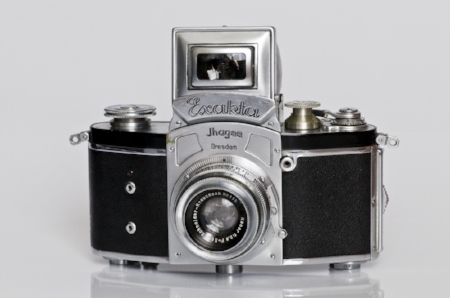 Our wide range of scanning options are the perfect way to breath new life into an old image! 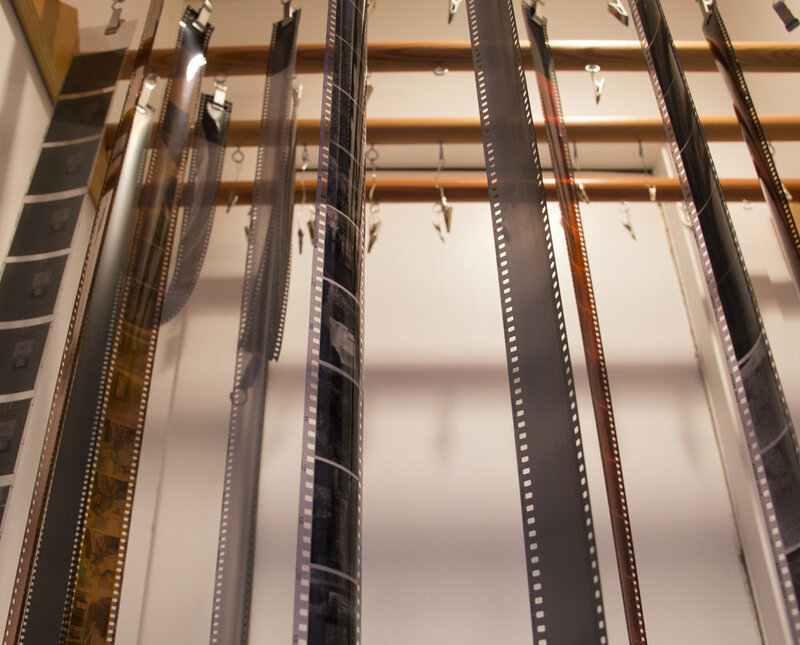 From film to slides, existing prints, flat art and even large paintings, our expert staff is ready to create high-quality digital files from your analogue originals. Gabriel prepares to scan a roll of film in our Durst Sigma Plus scanner. USING THE WORLD'S BEST PHOTOGRAPHIC PRINTER! 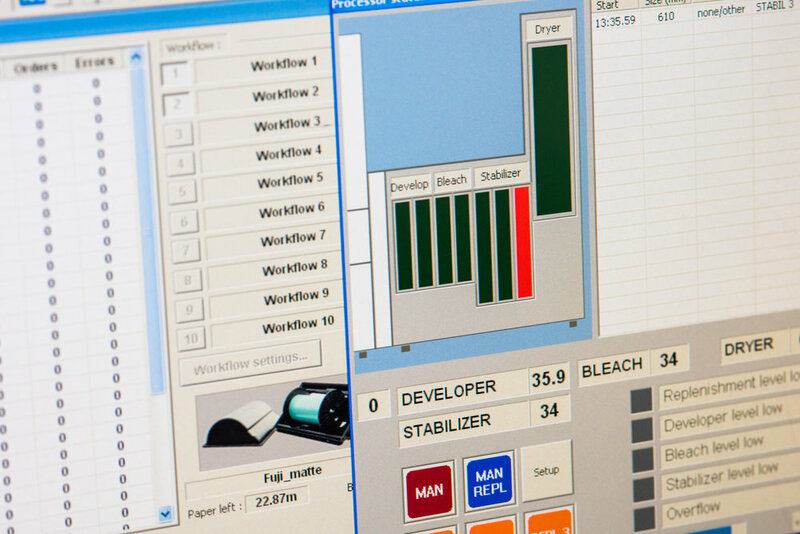 Our world-class Polielettronica Laserlab "Polie" digital C-printer is the best of both worlds — using digital technology to emulate the darkroom process ... in under 8 minutes! First, red green and blue lasers activate the photographic paper, which embeds your image into the very fibers of the paper. 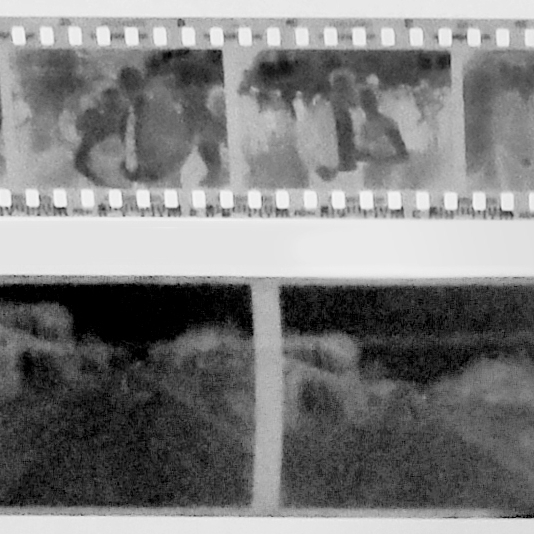 Next, your print travels through a traditional bath of darkroom chemistry and a high-powered dryer. Finally, your beautiful new print drops into a wooden tray — dry, ready to hang and of the highest possible quality. Should you want to manage the process yourself, our DIY service allows you to use the Polie to your heart's content. Or, if you would rather give us a file and let us work our magic, we also offer custom printing services. Whether you want to go BIG or just want a wider selection of papers, our custom Archival Pigment Printing is the way to go. Sometimes called Giclée or inkjet printing, our Epson 11880 printer represents the state of the art in pigment printing. 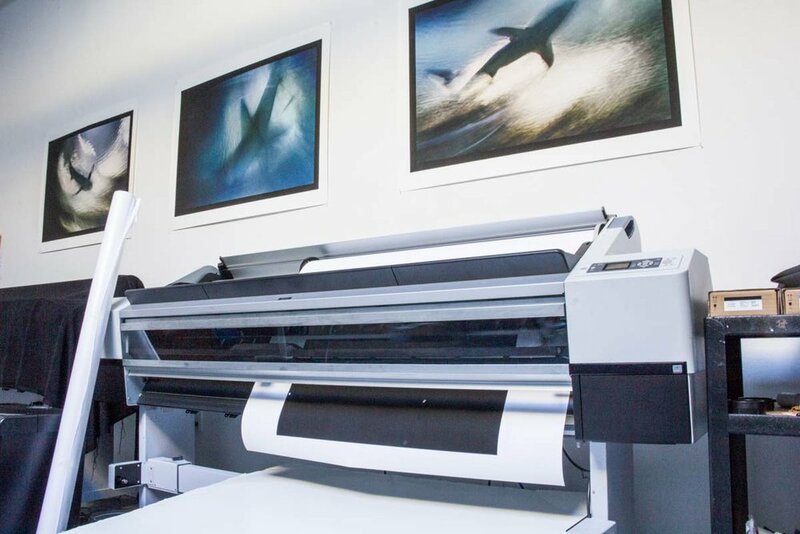 It’s 64-inch wide paper path allows the creation of prints up to 64×96 or larger. Additionally, our expert staff will ensure your image is optimized for the paper of your choice ... and that you're completely happy with your print. Not sure what paper might suit your image best? Let us help! Whether it be a DIY print, custom print, or a pigment print, our team loves to help customers achieve the best possible print. Here's Gabriel working with a customer to get the colors in her image just right. One of the most rewarding parts of working for a fine art photo lab is seeing all the wonderful images that come out of our printers! There's always something new ... and we love seeing the smile that comes across someone's face when they first see their new print. 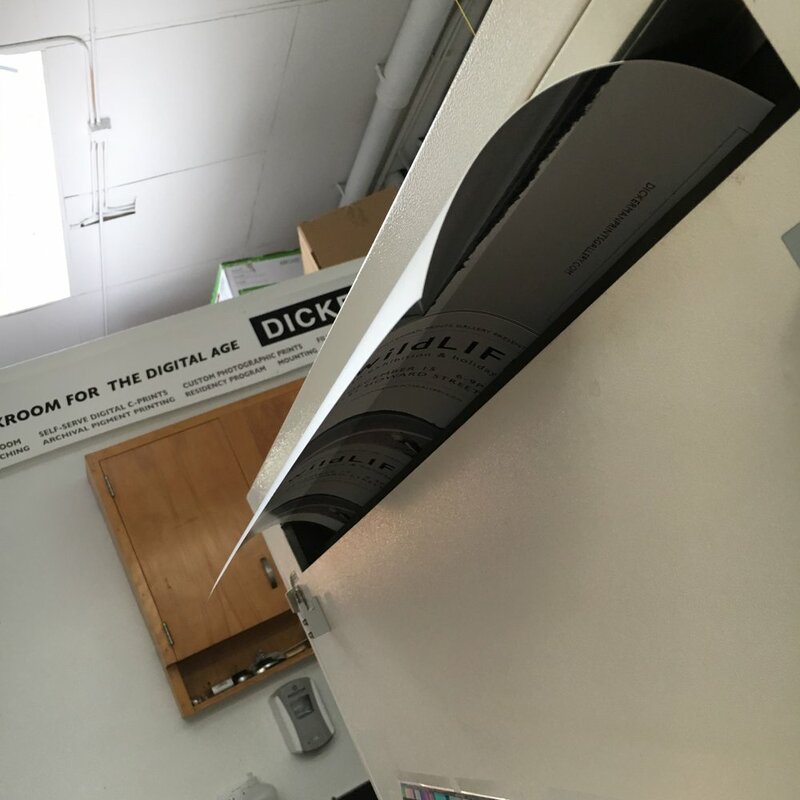 We love to have fun at Dickerman Prints. We also take our work very seriously, and demand perfection from every print we produce. From start to finish, our expert staff ensure that every pixel and inch of your photograph is the best it can be. 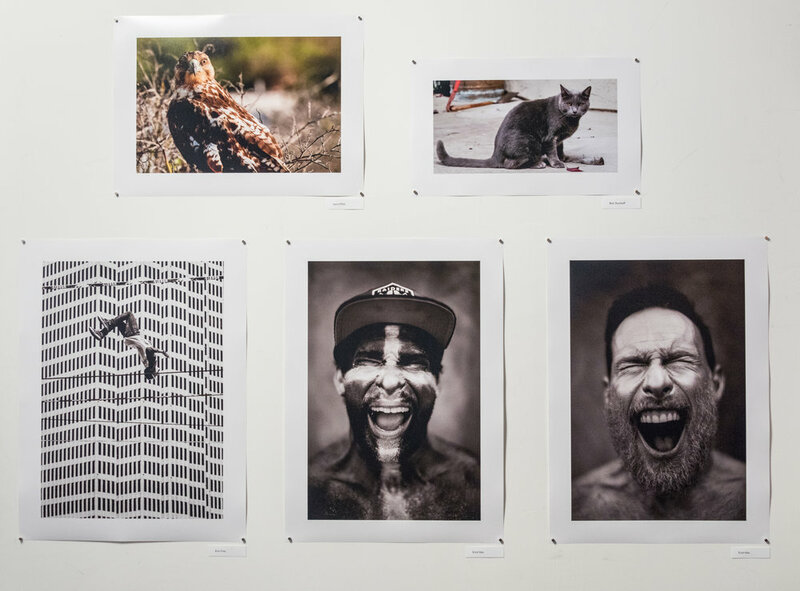 In addition to being a photo printing lab, Dickerman Prints Gallery is dedicated to exhibiting and promoting the work of our vibrant photographic community. With subject matter as diverse as the artists we serve, past exhibitions have featured some of San Francisco's most well-known photographers. 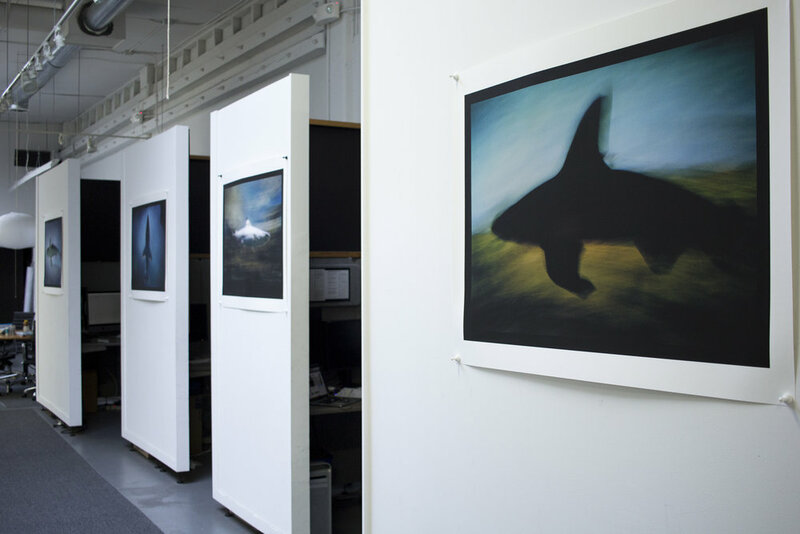 Additionally, we regularly curate group exhibitions ... and our gallery is home to an always-rotating collection of fine art photography. Ancient and hidden petroglyphs, timeless landscapes, wild animals, indigenous tribes and North America’s oldest human settlements come together in Dennis Anderson’s latest photographic project. 12,000 Years in the High Desert features more than 50 fine art prints, each transporting the viewer to a simpler time of prairies, indigenous rituals, bighorn sheep, pronghorn antelope and thousands of migratory waterfowl soaring across the sky. Dickerman Prints Gallery will host a public opening reception on Thursday, April 21st from 6:00 – 9:00 p.m. at 1141 Howard Street, San Francisco. The exhibition will remain open on weekdays through May 28, from 10:00 a.m. – 6:00 p.m, and on Saturdays from Noon – 6:00pm. Named one of the 10 great hospitality photographers by Hospitality Design Magazine, Dennis Anderson is an internationally published tribal art, commercial and architectural photographer whose fine art photography resides in the permanent collections of both the New York and San Francisco Museums of Modern Art. Today, Anderson is still exploring the world with his camera … just as his mentor, Imogene Cunningham, encouraged him to do. You can visit Dennis Anderson's Web site by clicking here.